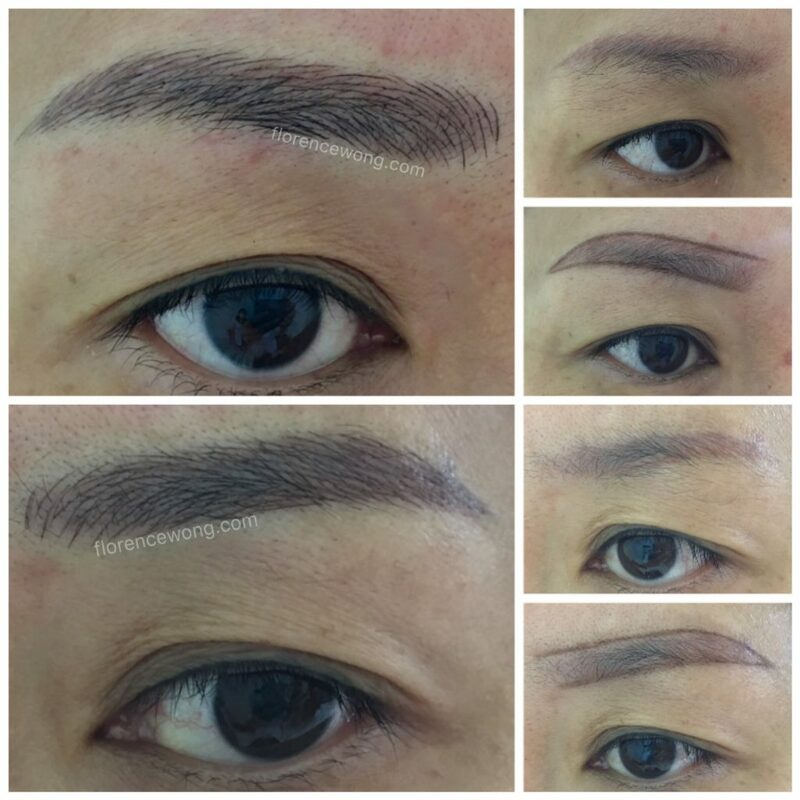 What do you think of the end result of this pair of brows after undergoing Elegant 3D Brow Embroidery with us? This client has very fine and relatively sparse hair growth. 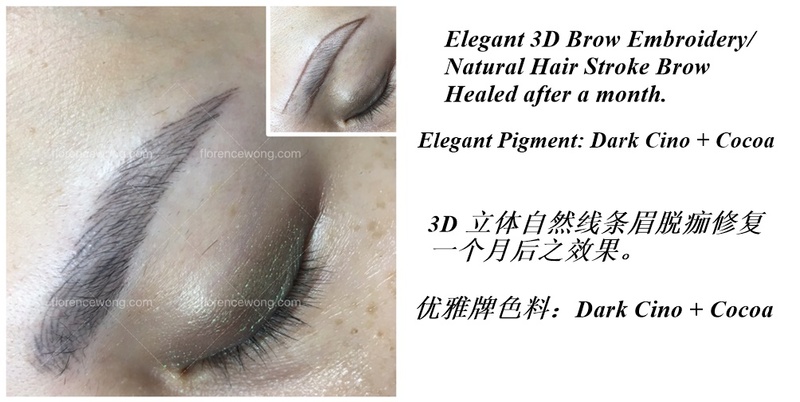 There were also the remnants of light brown base from her previous eyebrow tattoo. 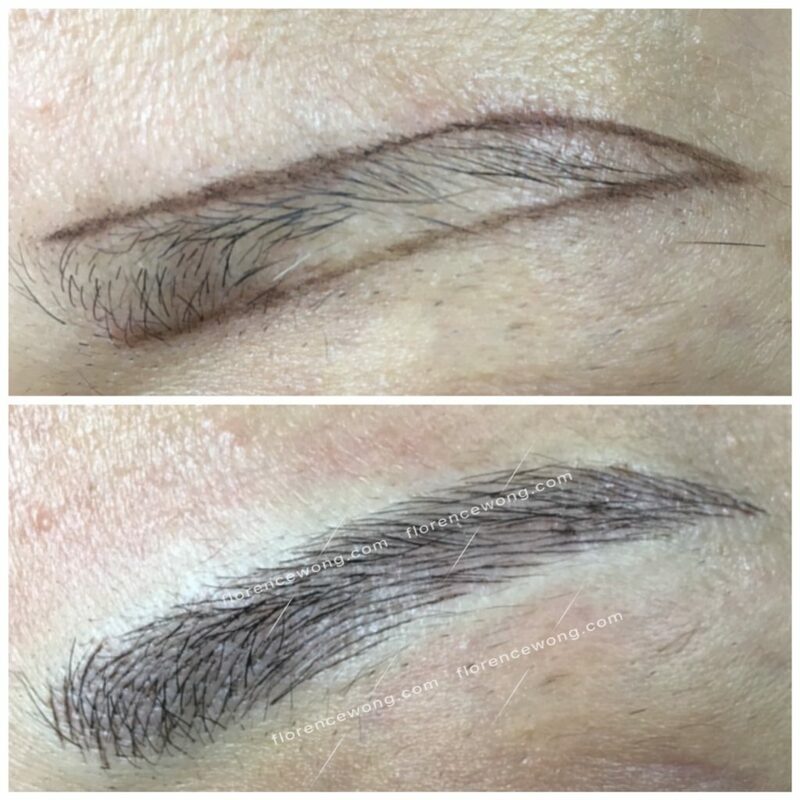 We chose the pigment colour mix, and applied more generous eyebrow hair strokes to create a more 3-dimensional appearance. 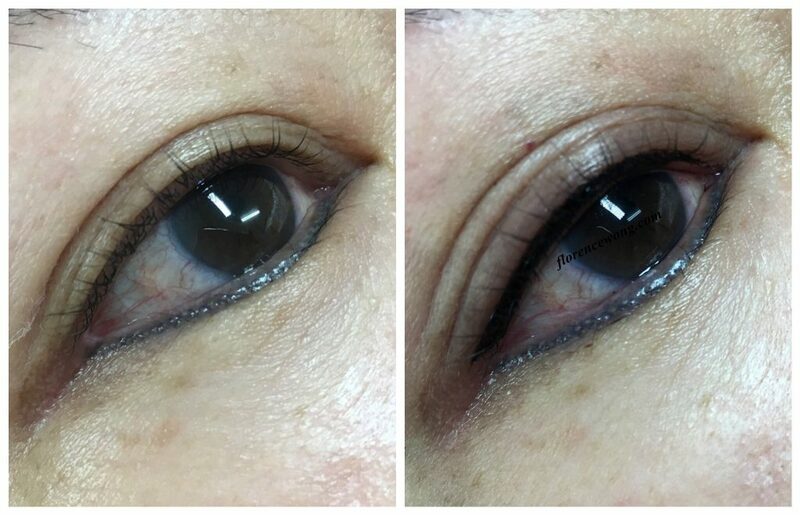 A tip, this client is very happy with the results. 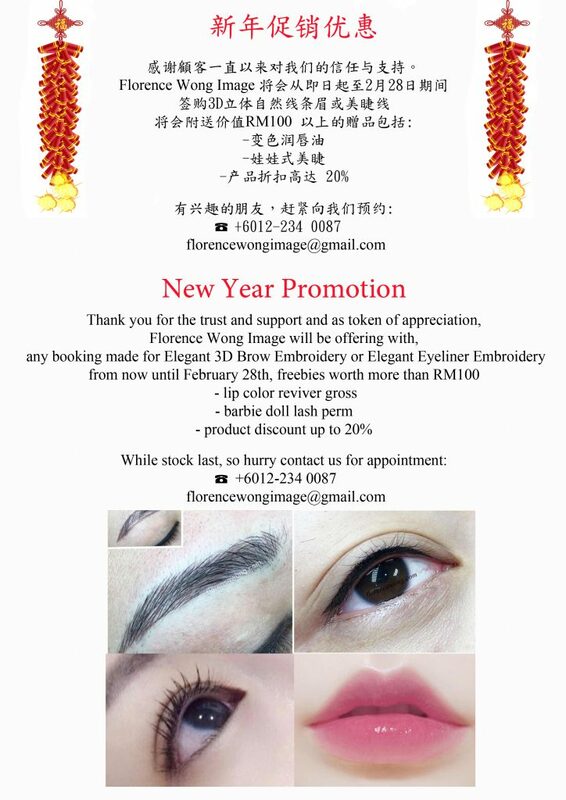 Florence Wong Image aims for the most natural and best pair of eyebrows that complement well one’s individual features. Real hair and ‘fake’ embroidered hair strokes should not be distinguishable. We are happy that we have done something right all these years, with the stream of clients and revisiting clients, who have supported us, and still are supporting us with continuous patronage. We thank you from the bottom of our hearts! We wish to take this opportunity to wish you all a wonderful year 2018 ahead!